There’s something special about a daughter’s relationship with her father. I speak from experience as I’m my father’s only daughter and I’ve also had the privilege of watching the relationships evolve between my husband and our two daughters. My Dad with his second granddaughter, 2014. I would be remiss if I didn’t mention that, as a mom and daughter… watching my dad with his granddaughters is also amazing. Daddy knows all, can fix all and can explain all. This is an undeniable fact for daughters as lucky as me. 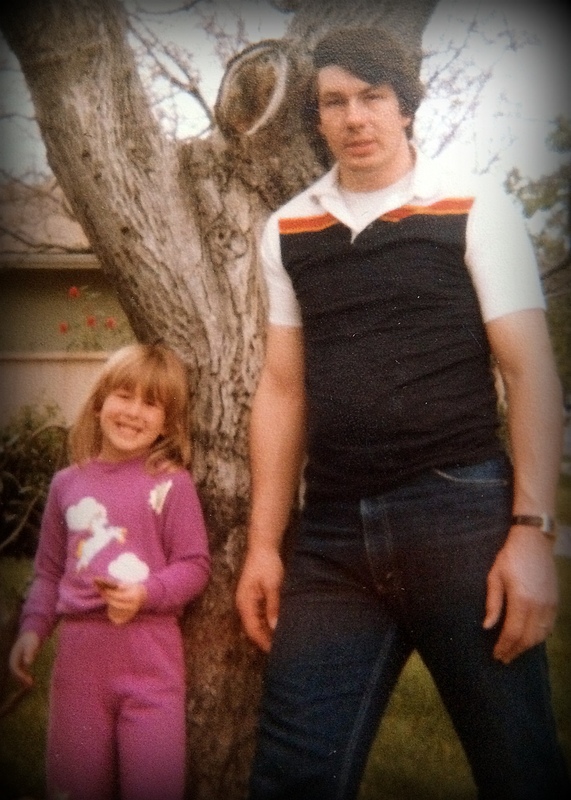 My Dad was and is always there for me, especially in times of emergency. When I broke my big toe as a preschooler, Daddy was there to make it better and find a way to keep my plaster cast dry in the bath tub. When I fell and all but broke my nose at a neighbor’s house in kindergarten, Daddy arrived in the minivan to pick me up… complete with my brother blaring a vocal siren through the neighborhood. It was my Dad who taught me how to swim as a child, how to treat my chronic nosebleeds in middle school and later how to drive stick in a city full of hills. My Dad braided my hair, reattached Barbie’s limbs when they fell off, packed my lunches, participated in prom and wedding dress shopping, and wiped my tears… happy or sad. He patched me up when I needed it and even saved my life a few times with a swift back blow when I was choking. My high school graduation, 1996. My Dad also taught me the importance of being prepared. As a family, we talked through emergency plans for escaping a fire in the house, how to deal with strangers and what to do if we became separated. My dad always has a flashlight handy and always made sure I had a quarter in my pocket for the payphone… just in case. It’s all part of the role Dad’s play in our lives. They are our protectors, our planners, our role models, our rocks…. at least for me. As I think about all of the things my Dad has done and will do for me, I realize I’m looking to my husband to fill some big shoes as a Dad… and so far, he’s spilling over. I know he will look out for our girls just as my Dad has and will always for me. Already, he’s mastering the reattachment of Disney Princess limbs and the art of pig tails. He knows how to stop a tantrum and when one’s temperature needs to be checked. My girls’ Daddy has all the answers they need right now and I know they will look up to him as much as I look up to my Dad. I’m realizing, as Father’s Day approaches, that it’s never too late to make sure your Father, or the Father of your children is as prepared as they can be. I’m lucky to work with the American Red Cross where I’ve learned a lot about preparedness. I’ve been trained in first aid, CPR and know how to use an AED. I know what to do in the event of many emergencies… fire, weather or health related, but I’m not the only one who cares for my daughters. They deserve to have two parents prepared for anything. So, this year…. 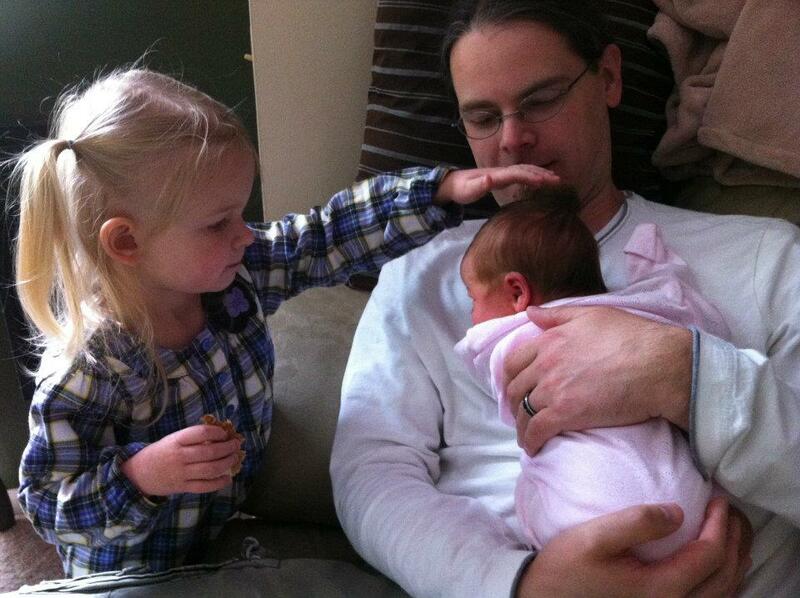 maybe my daughter’s gift to their Daddy is a gift that could save their lives, or mine. How about a CPR or First Aid class? Maybe a preparedness kit for the car or a fire extinguisher for the kitchen? Forget the ties this year and give your Dad, or the Father of your children a different kind of tool this Father’s Day. Need more ideas? Here are 5 last minute Father’s Day gift ideas from the Red Cross. Officially, winter does not end until March 19th and the winter season is really hanging on this year. The Philadelphia region is gearing up for yet another major winter storm, complete with snow and possible ice accumulations. Southeastern Pennsylvania stands ready to respond to whatever comes our way. 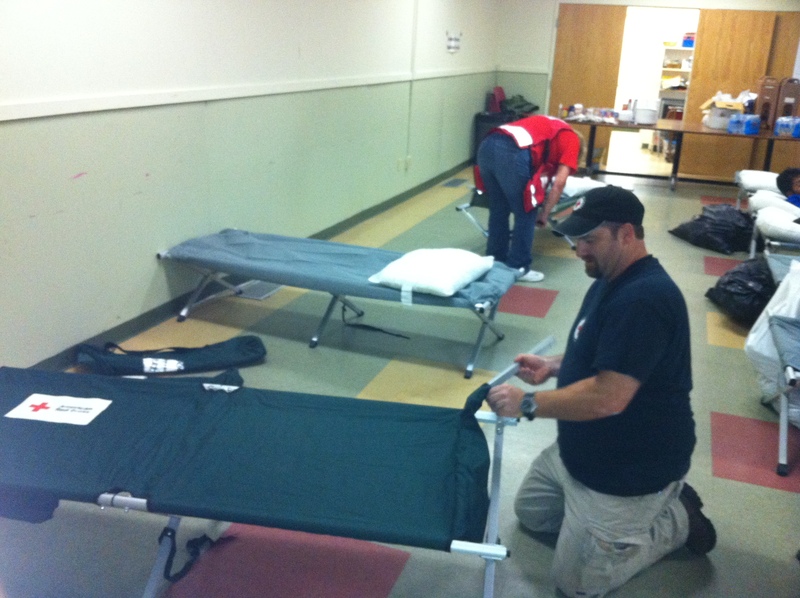 Supplies and staff are ready in case shelters are needed. Red Cross workers will be in contact with emergency management officials throughout the region leading up to, during and after the storm. The Regional Disaster Coordination Center at Red Cross headquarters in Philadelphia will continue to answer calls 24-hours a day and dispatch volunteers to respond to the everyday disasters the Red Cross handles even when there isn’t a winter storm. Winter Safety Tips including what items to have in your home and vehicle before a storm hits. Tips on protecting your pets during a winter storm, please don’t forget your pets. Tips to prevent or thaw frozen pipes in your home. Take time to download and learn more about the Red Cross mobile Apps. The first aid app, in particular could come in handy during and after a snowstorm. Any of the disaster apps like the hurricane app will provide you with shelter information, if needed. Basking in the glow of the U.S. Open that got the entire area excited about golf? Here’s your chance to get a taste of what Tiger, Rory, and Phil get to enjoy. 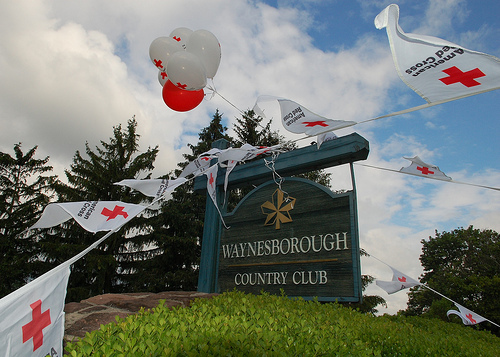 Whether you play golf often or your game is of the miniature variety, at the 11th Annual Red Cross Cup on June 24 at Waynesborough Country Club hosted by the American Red Cross Southeastern Pennsylvania. Plenty to do, great people to meet, bucolic PGA Tour Championship golf course setting, beautiful surroundings… your win is just a swing away. 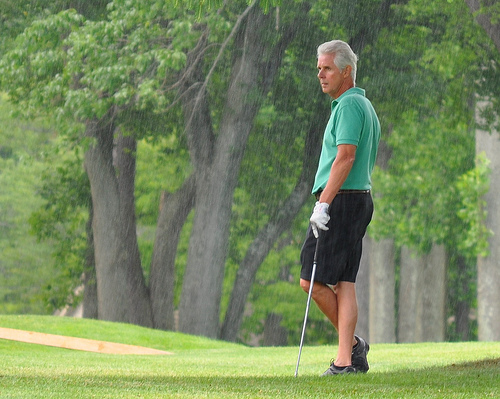 For players, the tournament format is a shamble (Best drive – three drives per player). Traditional tournament competitions such as Longest Drive, Closest to the Pin, and the Hole in One Challenge will also take place for awards and bragging rights. For observers, there’s full access to club facilities, lunch, a silent auction and a dinner and awards reception in the evening. Just a few days away, the success of special events, like the Red Cross Cup, is directly attributed to the generosity of our event sponsors. You are our 5-to-1 favorite as soon as you register. The American Red Cross Southeastern Pennsylvania relies on individual, corporate and foundation support to help provide compassionate care for nearly 4 million people in Philadelphia, Bucks, Chester, Delaware and Montgomery Counties. All American Red Cross disaster assistance is free, made possible by voluntary donations of time and money from the American people. We’re fast approaching the 4th holiday since Super Storm Sandy smacked the eastern seaboard. Affected residents, business owners and city, state and federal officials have been cleaning up through Halloween, Thanksgiving, Hanukkah and now through Christmas and New Years. 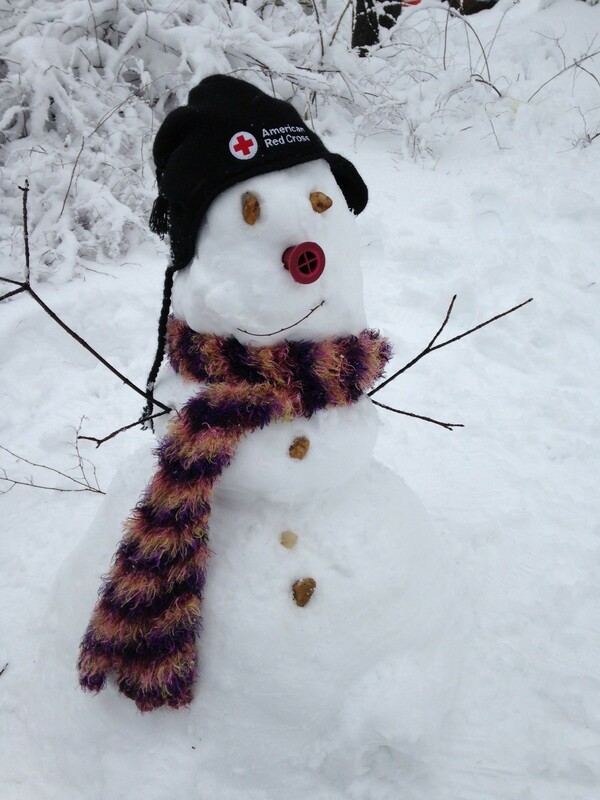 All the while, Red Cross volunteers have been there to support response, recovery and relief efforts. This is the largest response for the organization in 5 years and so far, the Red Cross has served more than 9 million meals and snacks, handed out more than 6.7 million relief items including cold weather items and clean up supplies, provided more than 103,000 health services and emotional support contacts for people living in very rough conditions and connected with more than 93,000 families and individuals to determine longer term recovery needs. Here, in Southeastern Pennsylvania, we have been doing our part to assist this on-going response. We have deployed more than 30 volunteers and employees to New York and New Jersey to serve in a variety of ways. Some spent Halloween, Thanksgiving and/or Hanukkah away from family and loved ones to help provide comfort and relief to residents still recovering from Sandy. Just this week, our volunteer, Marc Henley packed his big red bag, put his finger aside of his nose and up to New York he rose to help spread some holiday cheer to families desperately in need. Marc specializes in Disaster Mental Health and will truly spread holiday cheer by providing emotional support to families over the Christmas holiday. When I saw that he was leaving, I couldn’t help but wonder if Old Saint Nick himself was playing a little trick on us and sending Marc on a very important mission. You see, Santa is a very busy elf this time of year and won’t have time to visit with families and provide hugs and a shoulder to lean on. He must be on his way to provide toys for all of the world’s good boys and girls, but Marc will be in New York to provide those hugs, the strong shoulder and time to support families still reeling from the trauma they’ve endured. I don’t know about you, but I’ll think of Marc and our 4 other local volunteers spending the Christmas holiday in New York as I hang my stockings and set presents under my tree. I’ll think about how they will all be providing comfort, support and hopefully smiles to families and, for Marc, especially to a few little boys and girls in need of a longer visit from a jolly old elf. Wayne Sundmacher with American Red Cross Southeastern Pennsylvania CEO, Judge Renee Cardwell Hughes on the day of his donation. 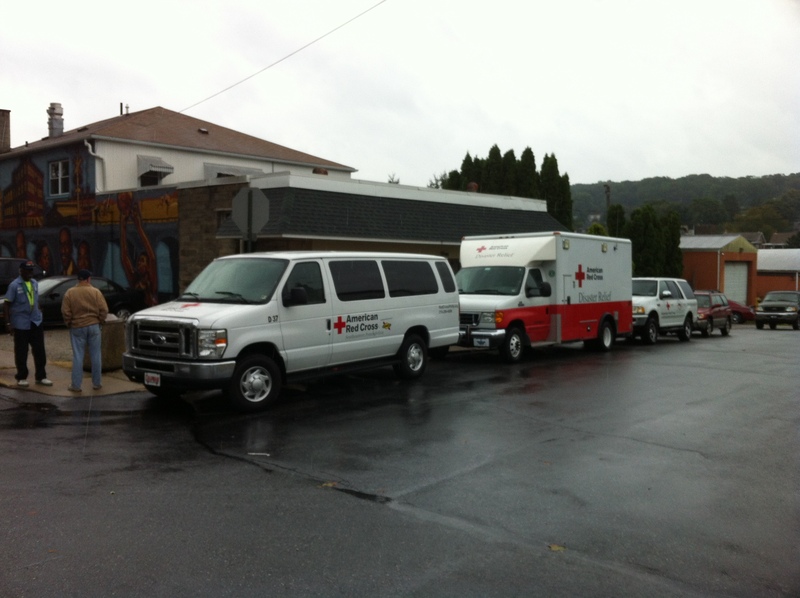 The following is an account of an auspicious meeting between Red Cross donor, Wayne Sundmacher, and Red Cross volunteers shopping for non-perishable food items at a BJ’s Club store in Hamilton, New Jersey. At the spur of the moment, Wayne stepped up to cover a substantial bill for Red Cross supplies to be distributed to residents affected by Superstorm Sandy in New York and New Jersey at the cash register. After having spent four days without electricity or hot water, our lights came back on early Saturday morning. That’s just an inconvenience, and nothing compared to our friends who lost their home. My wife and I felt very lucky to have only lost some roof shingles, some food from our refrigerator and our electricity for four days. As a State employee, I had some involvement in emergency management and was painfully aware of the plight of those left homeless by the storm. I was also aware of the great volunteer response by organizations like the Red Cross, and how they were endeavoring to meet the needs of thousands of people affected by the storm. On Sunday morning November 4th, I was shopping at BJ’s Club in Hamilton, NJ, restocking perishable food items that we had lost during the power outage. I was surprised to find the aisles crowded with American Red Cross volunteers, scurrying about, collecting case after case of non-perishable food items. Their enthusiasm was inspiring, and I wanted to find some way to help, but also didn’t want to distract them from the important work they were doing. When I arrived at the check-out, I turned to find Red Cross volunteers with several flat-bed carts, waiting in line behind me. My only thought was, “What can I do to help?” Certainly, the volunteers weren’t set up top take a donation, so I did the next best thing. I approached the young man behind me, with an offer to pay for the first $100 worth of food items they rang up. While I thought my $100 offer would go a long way, the very first case of food the Red Cross was purchasing rang up at $214. Sometimes, you just have to go with your heart, and not consider your wallet. Rather than try to split up the purchase, I just told the cashier I would pay the full cost of that case of food. I cannot tell you how good it made me feel, to know that food I had just purchased would be distributed to someone in desperate need, that very day. And the cost? Well, that’s a couple less dinners out, and a few weeks without doughnut shop coffee. I think that’s pretty easy to bear. Here’s a link to a great post on Wayne’s Facebook page where he challenges friends to make a donation of their own to help the efforts of the American Red Cross in New Jersey. We are incredibly touched by his generosity and second him in encouraging others to follow his example. Thanks Wayne! By the way, over the course of the weekend of November 3-4, the American Red Cross Southeastern Pennsylvania sent 17 teams of volunteers to New York City and Jersey City to distribute food and and water. In all, our teams distributed more than 48,000 food items and 20,000 bottles of water to residents in New York and Jersey City. (More photos here. Scroll to second half of set to see the store and distribution pictures.) 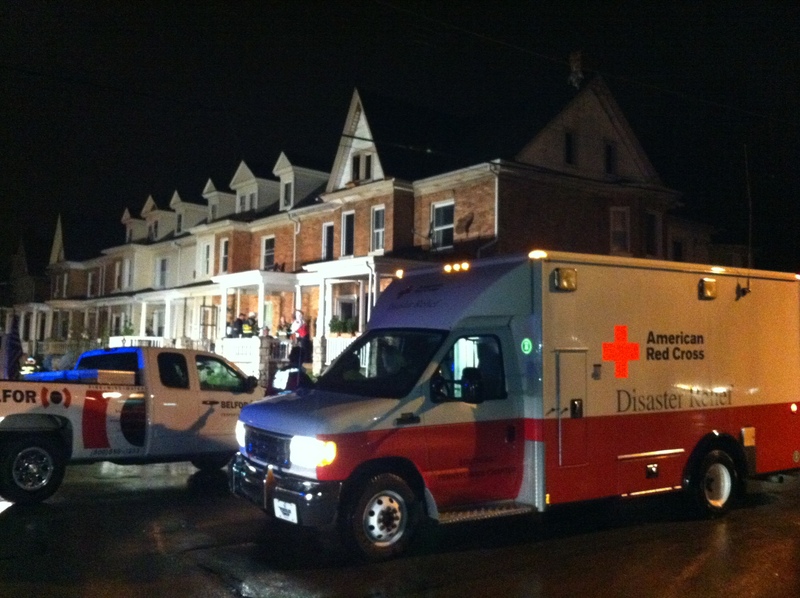 This was just a small part of the large-scale response by the American Red Cross to Superstorm Sandy. It was 11pm Monday night and I had just settled my 4 month old little girl down for her long night shift of sleep, and handed off monitoring duty of our three year old, who is going through a spell of waking in the night, to my husband, as he stays up a little later than me. It was time for bed, after another long 16 hour day. Little did I know what was to come. At 1:30am my “bat phone” rang. This is the Red Cross phone. I was serving as “PR on call” for the night and this was “the call”. 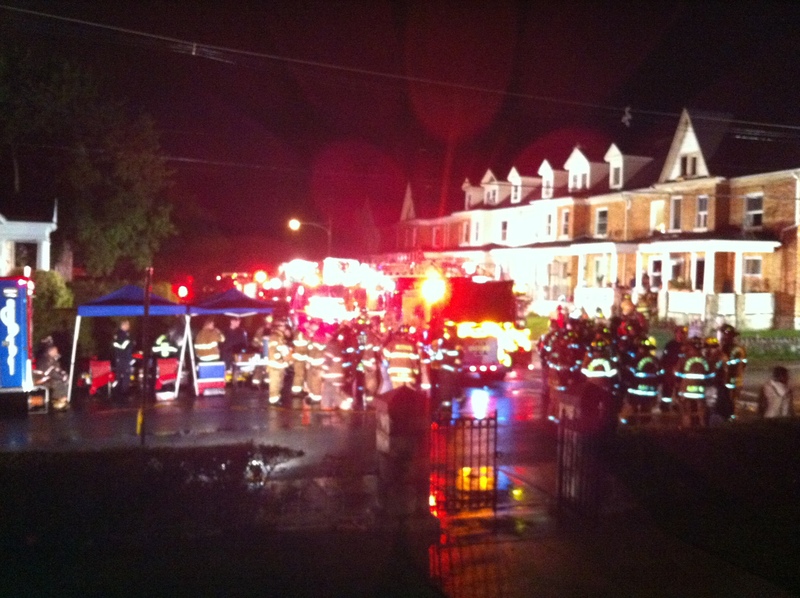 There was a large fire burning in Coatesville with fatalities, injuries and rooftop rescues. Many people were displaced and our DAT volunteers were on the way. The phone woke the 4 month old, but I calmed her down and handed her off to my husband while I took down the pertinent information. After waking my director to let him know what was going on, it was decided that I would head out to the scene…. I only live about 20 minutes away. When I arrived on scene at about 2:30am, it was pretty chaotic and pouring down rain. But our volunteers were doing all they could to comfort people who had been through a traumatic incident. I was touched by their dedication. One married couple who serve Chester County were on the scene. It was their second response of the night and neither had been to bed, but you would never have known it by the way they continued to serve the mission in a pleasant manner. They inspire me. Half of the displaced from the fire huddled on a porch of an adjacent building were Mexican and spoke only Spanish. We relied on an interpreter and the children in the crowd to help us communicate the best we could for the time being. Our volunteers took names, handed out snacks, offered blankets, hugs and pats on the back. I gathered the information that I could from those taking names and making lists and found out we had at least 31 people who would need a place to stay… two more were at the hospital being checked out, but they would likely return and need our help as well… that made 33 and 12 of them were children. One was 7 weeks old…. another just 15 months and the same size as my 4 month old back at home (she’s a beast). It broke my heart, as a mom, to see these kids huddled in their parent’s arms, dressed in their pajamas looking up at their destroyed homes. I kept my head in the game and watched for the media to show up. I tweeted, I emailed, called to check in with my director and took photos. I kept up on the latest information and was ready when the media did arrive, call, or tweet me back. I stood in the rain for numerous interviews and facilitated a statement from the fire chief for the cameras that were on scene. I was live at 6am with one station…. and stuck around to make sure the morning reporters had the latest information. During all of that, the decision was made that we would open a shelter a few blocks away. More volunteers had arrived and were working with officials to get keys to the building, supplies from a trailer and get the shelter set up. The residents waited patiently. We were told they would be able to go into their homes to grab some belongings two at a time. It was relatively quiet amongst the porch dwellers. You could hear the loud noise of the fire trucks, a back-up beeping from time to time and the rain and wind. The weather seemed to be getting worse. One of our volunteers grabbed trash bags to hand out to the crowd. It was something they could use put their belongings in when they went into their homes. The volunteers reminded everyone to gather the ESSENTIALS like medications, eye glasses, identification…. things like that. As the families came out of the burned building with bags full, we worked with the local police to transport them to the community center, which was now set up and ready to accept people. A young officer made numerous trips in his cruiser back and forth until everyone was accounted for. By this time, the sun was beginning to rise, but the folks were ready for some sleep, so it was lights out at the shelter. I helped hand out some blankets. It’s not my job in disaster response, but I can’t help myself… Seeing little kiddos curled up on Red Cross cots touches my heart and I want them to be as comfy as possible. I gathered the information I needed from those signing folks into the shelter and headed back to the scene to update the media… I wanted to keep the media on scene happy with information from me so everyone could sleep at the shelter. After the morning news, the second shift of reporters began to arrive, but I needed a break. It was 7am and I was going on 2 hours of sleep and no food. I offered to take the volunteer who hadn’t slept at all home as she and her husband had brought the ERV to the scene and they had no way of getting home. It was out of my way, but the least I could do. I checked in with the director on my way home and we decided to touch base after I napped. About 10am or so, I was up again after a maybe 2 hour power nap…. the baby wanted me and my phone started ringing again. It was clear I wouldn’t be able to get any more sleep. I fed the baby, hugged her tight, grabbed some breakfast, kissed my amazing husband and headed back to the scene. By the time I got there, I’d be on my 3rd shift of reporters, and the fire scene would be boarded up… a few stuffed animals placed at the bottom of the steps in memory of the mother and child who lost their lives… it was surreal. I was also amazed by the efficiency in the shelter. Volunteers had served breakfast and lunch was on the way. Kids were playing nicely with stuffed animals we handed out and eating popsicles. They were in good spirits after a short night and their parents were doing a great job of staying calm. Caseworkers had arrived on scene to help with the work of transitioning the families to the next location. We had a language barrier, but plenty of folks from Chapter who spoke Spanish were on hand helping to bridge that gap. I was impressed by the resiliency of the folks in need and the dedication and compassion of the Red Crossers there to respond. We faced obstacles along the way, of course… including a run to the store to buy car seats so we could safely transport families to a nearby hotel and dealing with close quarters and that pesky language barrier.. but in the end, we were able to assist 33 people. We gave them lodging, food, clothing, counseling… and a caseworker to contact for follow up needs. We helped refill prescriptions and even called in our friends at Red Paw to help with a bird and a cat. It’s not every day that my work is dedicated to the mission like it was this day, but I do cherish these glances at what the Red Cross is all about. My heart aches for those we’re helping, but on responses like these I wonder what if the Red Cross hadn’t been there? Where would these folks have gone? Would they have huddled into cars for the night? Maybe curled up on that porch or tried to get back into their damaged and unsafe homes? The Red Cross was there to alleviate that suffering. We answered that question and put some smiles back on some faces. It’s nice to be able to witness this… but I wish we didn’t have to. Have you seen the new redcrossphilly.org? Spread the word, it’s live and ready to be explored by you, your family and all of your friends. 5- The Southeastern Pennsylvania Region was chosen as one of eight Red Cross Chapters to serve as pilot Chapters in the redesign. What does this mean? This means that we are one of only eight Red Cross Chapters whose new websites are up and running right now. We lead the charge of the migration to this new “One Red Cross” way of thinking on the web and we invite you to visit and click around! 4- The redesign and migration has been nearly a year in the making. As part of the pilot program, I was privy to design conversations and was able to voice my opinion about not only the chapter redesign, but also the RedCross.org (RCO) redesign. I took part in conference calls with members of the Red Cross staff across the country starting last year and it has all lead to this week’s launch. 2- You may see SEPA photos on other Chapter sites. We’re so lucky to have such great images of the many things we do here at SEPA, that other chapters are using them as well! Thanks to all of our employees and volunteers who make gathering these great photos so easy! 1-The number one thing you probably don’t know about the new SEPA redesign? We were the FIRST to launch… the FIRST to redirect our old website to the new one and the FIRST to be used as a model for chapter sites across the county. It’s been a long process that has involved coordination between many different departments and people working here at SEPA, but I’m so proud of our newly redesigned redcrossphilly.org. 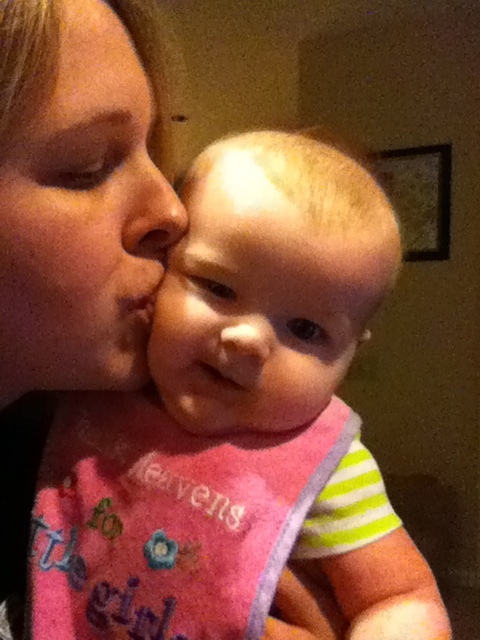 In April, I gave birth to my second child… and in August – it was like another birth… redcrossphilly.org is my baby. Feel free to ooh and ahh over it! While you’re here, check out the mission moment explaining all about the new website!